Not too long ago my wife and I took a trip to see several of our old friends out on Long Island. This was a special trip for all of us, a reunion of friends (the Pallys as we refer to ourselves). Like often happens with old friends, our relationships are now exclusively long-distance with very few of us even living on the same side of the continent. But for this one weekend most of us would be under the same roof together, and it was going to be awesome. In the weeks leading up to this trip I had been feeling incredibly uncreative. Whenever I stop making things, my self-doubt and self-loathing usually start to get the better of me. This starts a self-destructive cycle of unproductiveness. I’m unhappy so I can’t be creative. I’m not being creative so I’m unhappy. Repeat. We all arrive on Long Island and immediately pick up where we left off five years ago when we were all together last. We all take turns making each other laugh, getting crazier and zanier with every rotation, and because we’re idiots shameless we record everything we’re doing. Our conversations organically grow into sharp improvised skits with each of us playing comical caricatures of ourselves. And for the first time in weeks I feel like myself. Inspired, my self doubt lifts and my purpose is once again revealed–I need to create. The weekend ends and I’m heartbroken to say goodbye to the Pallys, but more than that, I can’t wait to finally get to work. On the plane cross-continent I break the story for “Another Working Night” and less than twelve hours after landing I’ve started the art. In what feels like the blink of an eye, the book is finished. 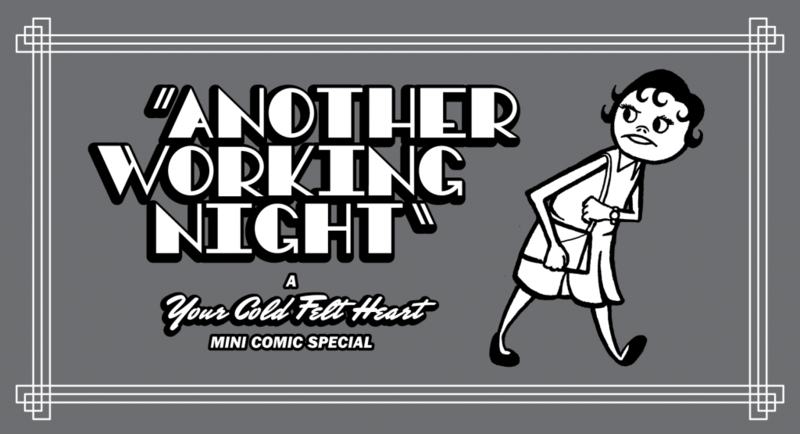 “Another Working Night” is the fastest turn-around from initial idea to finished product I’ve ever had. The speed of production meant a lot less time to edit and doubt myself. Which is scary, but also authentic. 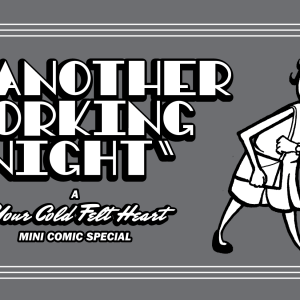 “Another Working Night” is available today. Please check it out, as well as my other comics. In every way possible 2015 was the worst hardest year of my adult life. Professionally, I had tried my hardest and still failed to achieve any of my goals. Financially, I was hemorrhaging money on unexpected emergency, after unexpected emergency. And personally, I was feeling defeated by my own aspirations and the collusion of the world at large. Sadly things weren’t any easier for my wife. So going into 2016 we both needed a plan for happiness. Something that we could work on together that would make THIS year, better than the last. We decided to travel. To plan out our entire year financially with the goal of visiting as many of our friends and family members as we could. And, we would document our travels throughout the year so that one year from then we would have something to look back on. A reminder of our victory. It was my wife’s genius that thought to do it as one continuos, spinning shot. So, today as we all say goodbye to 2016 here’s mine and my wife’s reminder of the good things in life. Visiting new places, family, and friends. Here’s to doing it all again in 2017. I’m excited to announce that Your Cold Felt Heart Issue No. 1 is now available digitally through ComiXolgy! 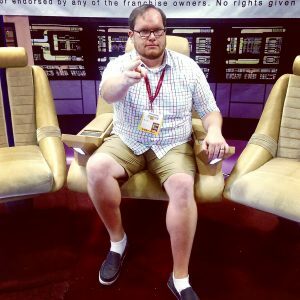 As a lover of technology and comic books I’m a big fan of ComiXology and have been buying comics through their convenient service for several years now. For those of you less familiar, ComiXology is the largest digital comics distributor in the world. They feature over 75,000 comics in their convenient cloud-based library which can be accessed instantly from any internet enabled device. ComiXology also offer a free app for most smartphones and tablets which allows you to download your digital comics for offline reading. Their website even offers the ability to backup your digital comics library with DRM-Free PDF or CBZ files for anyone concerned about losing their purchases in the cloud. If you’re a little skeptical about the experience of reading comics on your iPad (my preferred device), let me tell my favorite feature of all… HD COMICS! ComiXology’s software allows creators like me to upload their comics at resolutions WAY higher than commercial printers can support, letting the artwork take full advantage of the beautiful Retina Display built right into the iPad. Believe me when I say, comics have never looked more beautiful than when you’ve see them in HD! Visit ComiXology.com to get your own digital copy of Your Cold Felt Heart – Issue No. 1 and experience “puppet noir” in HD. The digital copy also features an exclusive pinup from my friends Jeramy Hobz and Cyndi Foster. Check out their series Oops Comic Adventure to see more of their incredible art. Today’s the day we’ve all been waiting for, Your Cold Felt Heart – Issue No. 1 is now available for purchase! Click on the shop button at the top of this page to pick up your copy from my Etsy store today!!! Issue No. 1 will be rolling out in select comic shops over the next few weeks, starting today with ACME Superstore over in Longwood, FL. Enzo and the team at ACME are long time friends and supporters of Your Cold Felt Heart, and I couldn’t be prouder to have my book available in such an incredible comic shop. So if you’re fortunate enough to live near ACME, swing by on this glorious new comic day and pick up a copy from Enzo at the shop! Coinciding with the release of Issue No. 1 is the launch of yourcoldfeltheart.com the center of all things YCFH on the internet. Check out the sites awesome design courtesy of the always incredible Arbiter Design (and don’t be afraid to noodle around a bit for some really cool hidden treats). So much is happening right now, it’s hard to take it all in. Thank you so much to everyone that’s supported me over the years leading up to this day. Your kindness and encouragement means more to me than words ever could express. Here’s to doing all this again, with Issue No. 2! Your Cold Felt Heart – Issue No. 1 “Dangerous Game of Love” has 26 black & white story pages and a full color cover, with story, art, colors, and lettering by me. Your Cold Felt Heart is the mixed up blending of crime stories, mobsters, and vigilantes with the silliness, sight gags, and puns of puppets. Aw Yeah Comics! And… Action! Aw yeah internet! Today is a good day to swing by your local comic shop. First, because it’s new comic day (so shouldn’t you be going anyway?) and second, because today is the official release of the trade paperback Aw Yeah Comics! And… Action! from Dark Horse collecting issues 1-4 of this super-fun comic series! For the uninitiated, Aw Yeah Comics! is an all-ages friendly anthology comic featuring a world and characters created by the oh-so-awesome Art Baltazar & Franco Aureliani (of Tiny Titans and Itty Bitty Hellboy fame). 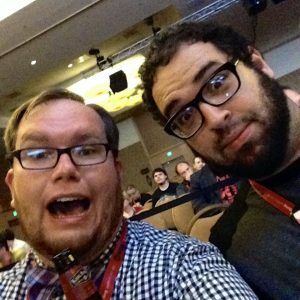 Each issue of Aw Yeah Comics! features multiple short stories created by a rotating team of really great artists and writers (including a little something from me). 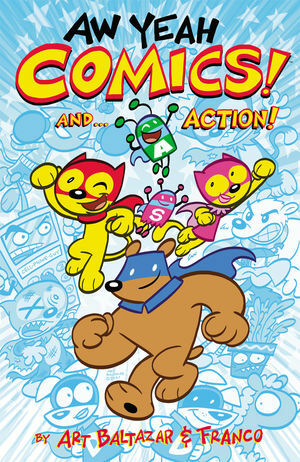 The original single issues of this comic were funded through Kickstarter, with a successful campaign bringing in over THREE TIMES its original goal. This series is the publishing side of Art and Franco’s comic shop, Aw Yeah Comics in Skokie, Illinois which they co-own with my friend (and real life super hero) Marc Hammond. 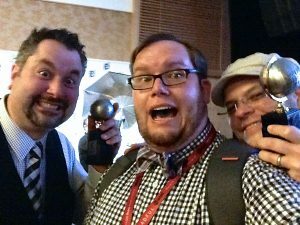 I was lucky enough to get to hangout with Art and Franco at this year’s San Diego Comic-Con and Eisner Awards ceremony, and can personally attest to these guys being ridiculously cool on top of being incredible cartoonists and storytellers (true story). Anyways, be sure to pick up “Aw Yeah Comics! And… Action” at your local comic shop; and if you haven’t already, be sure to check out “The Rocketeer: Cargo of Doom” by Mark Waid and Chris Samnee. Posted in NewsLeave a Comment on Aw Yeah Comics! And… Action! 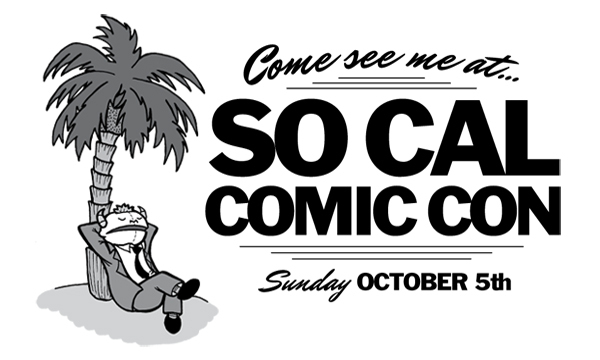 Sunday, October 5th from 10am to 5pm I’ll be exhibiting at the fifth annual So Cal Comic Con in Oceanside, CA. 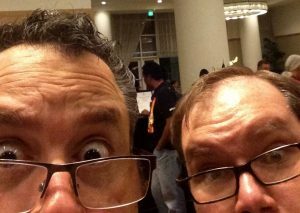 This is a comic-centric convention featuring some really great local cartoonists from Southern California as well as some awesome big name creators, including this year’s Guests of Honor: Len Wein and Herb Trimpe! I’ll have copies of the first full-size issue of my comic Your Cold Felt Heart available for the first time ANYWHERE at this con, so stop by and be the first to get a copy complete with a signature and a sketch. I’ll also have a new printing of my mini-comic on hand, as well as other fun Your Cold Felt Heart themed items to check out. Tickets will be available onsite and are only $7 for adults, and FREE for kids 13 and under when accompanied by a paid adult. Local comic shops in San Diego (like my local shop Comikaze) have flyers for the show worth $1 off admission. The convention will take place at the QLN Conference Center in Oceanside, CA and the word is the first 100 attendees get a free grab bag (so get there early). I got to attend this show last year and had a blast seeing friends and scooping up some great books, so I’m absolutely thrilled to be exhibiting at this year’s and look forward to meeting all of you there. 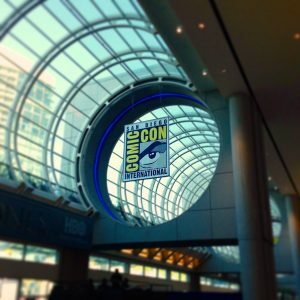 San Diego Comic-Con has once again left me exhausted and brimming with inspiration. I got to spend this year’s con in the company of my beautiful wife and our excellent friends and thoroughly enjoyed every minute of it. 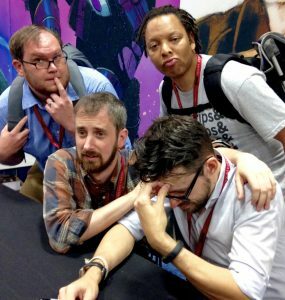 I even managed to behave like a respectable comic creator and rubbed elbows with more than a few editors and publishers on the dealers floor and some of the nearby hotel bars. Episode 6 of the Monster Popcorn Podcast just posted this week featuring a discussion of one of my favorite movies, The Great Muppet Caper. The Muppets are one of my biggest influences as a creator, and one of my favorite things to talk about as a fan of stories. You can listen to the podcast here (or search for us on iTunes). Aw Yeah Comics! Issue #1 was just released digitally from Comixology, and I couldn’t be more excited. In part, because Aw Yeah Comics is the brain child of some of my favorite cartoonist (Art Baltazar and Franco Aureliani of Tiny Titans fame) but also because I had the extreme pleasure of contributing to this issue. My good friend Marc Hammond is the manager of Aw Yeah Comics (the comic book shop) in Skokie, IL, which he co-owns with Art and Franco. Marc and I met several years ago when we both lived in Central Florida. 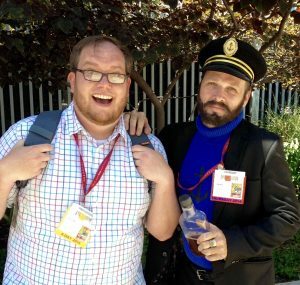 We both eventually set out from there to follow our dreams, mine leading me to San Diego and cartooning, and Marc’s to the suburbs of Chicago running his own comic book shop. During these hard, pioneering years of our journeys our collective struggles have endeared us to one another. We’ve celebrated success, encouraged the other through setbacks, and commiserated on the strain of living far from your family and friends. Not too long ago, Marc emailed me a script he’d written for a one page, Public Service Announcement inspired, strip for Aw Yeah Comics! Issue #1. 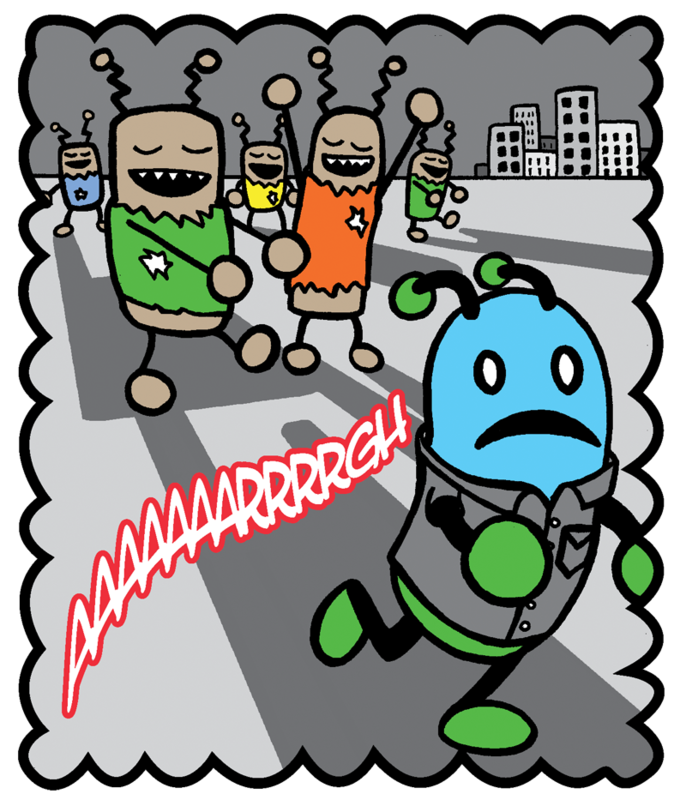 Although I’m pretty busy with my own projects, the opportunity to be in an anthology comic which will feature Art Baltazar and Franco Aureliani was too good to pass up. Issue #1 of Aw Yeah Comics! 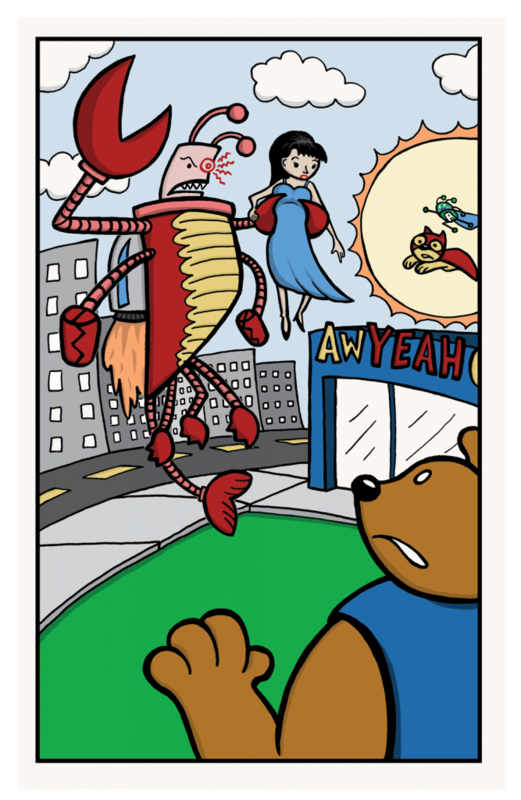 is available now from Comixology with a print version available at Marc’s store Aw Yeah Comics in Skokie, IL. AAAAAAAAWWWWW YEEEEAAAAAHHHHH!!!! Check it out.